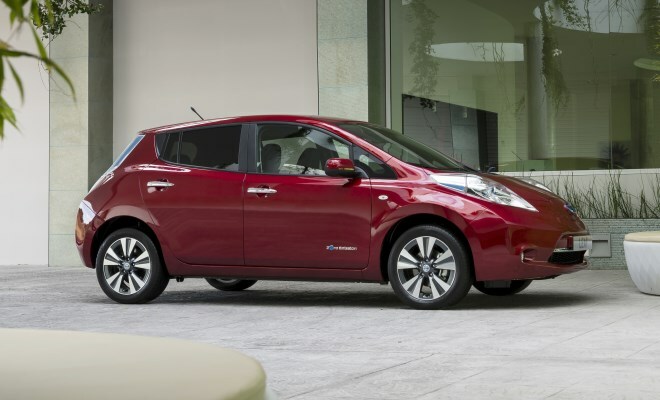 If you fancy driving a Nissan Leaf electric car for a knock-down price – as low as £100 per month, for as long as 18 months – then I have some good news for you. An experimental venture called My Electric Avenue is itching to make your acquaintance. If you’ve read my review of the latest British-built Leaf, you’ll know it’s an outstanding electric car, worth a lot more than £100 per month. But before you trip over yourself to sign up, there are a couple of snags. The first is that you’ll need to be willing to participate in the latest electric vehicle (EV) usage study, in which you and your family will become guinea pigs under observation, to see how you deploy the car in your daily lives. And the second snag is that you’ll need to be on good terms with your neighbours, because the research aims to create “clusters” of around ten EV owners all hooked up to the same substation. The research project is designed to simulate what electricity demand might look like when – or if – electric car ownership becomes commonplace. If lots of families all arrive home in the early evening and plug in their spent car at roughly the same time, each drawing kilowatts of juice from the local energy grid for hours at a time, will the cables running under the road start to bubble and melt? By creating artificial clusters of 10 or so cars today, the project will help electricity suppliers prepare for the future, demonstrating what demand might really amount to, what patterns of charging are likely, and what steps might be effective in staving off the unpopular meltdown option. Simply upgrading the grid would cost billions, so a bit of careful measurement today could save a lot of money in the future. The project itself will cost around £10m to run over a three-year period, with half the cash coming from energy regulator Ofgem, through its Low Carbon Networks fund, and the rest in undisclosed contributions from the coffers of the consortium running the study. 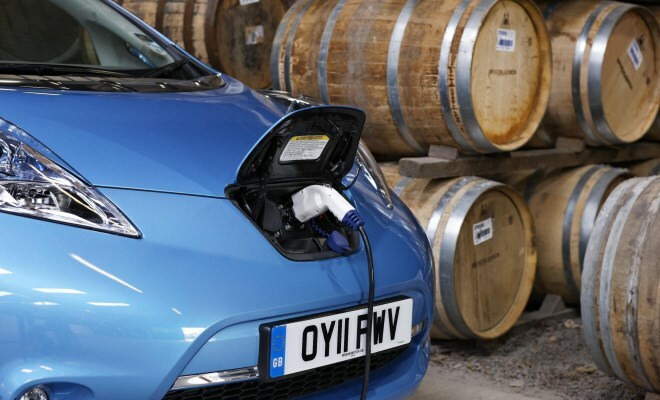 The partners include Scottish and Southern Energy, Northern Powergrid, carmaker Nissan, leasing firm Fleetdrive Electric, consultancy Zero Carbon Futures and tech provider EA Technology. As well as measuring usage, the study will also assess different strategies for balancing or reducing the load experienced by the electricity network. Alongside their cut-rate electric car, participants will also receive a free wall-box charger, wired up through an extra black box that will be equipped to switch the charging current on and off remotely. With additional monitoring gear at the substation, the boffins from EA Technology running the study will be able to measure the aggregate demand from the EVs as well as the juice drawn by each individual charging car, and will be able to adjust the situation accordingly. For example, they might stagger the load by switching the least hungry cars off for an hour, rather than allowing all 10 cars to sup freely simultaneously. Fortunately, ten cars won’t actually create enough load to melt any cables, so the first phase of the project will be one of observation – seeing what patterns of charging behaviour naturally emerge once the trial owners settle down to life with their new EV. From there, the trial will be able to experiment with different strategies for adjusting demand to place the lowest strain on the grid without leaving any of the EV owners stranded with an unexpectedly flat battery. Ideally, volunteers will come forward in fully-formed groups of 10 households, but the project organisers accept that this neat outcome is unlikely. 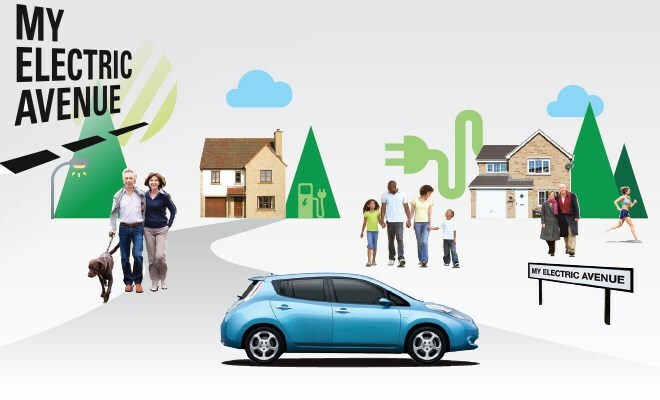 Flyers and posters can be downloaded from the My Electric Avenue site to help electric-car enthusiasts recruit their unsuspecting neighbours. Sadly there are actually a few additional caveats, on top of the two snags mentioned at the start. The third stumbling block is that not every part of the UK is eligible to take part – you’ll need to live in the highlands of Scotland, the North East of England, or the middle bit of the South of England. A map and a postcode checker are available at the site. The catchment area may broaden in the future if sufficient volunteers can’t be found to begin with. The organisers are looking for 10 groups, each of around 10 households. The fourth snag is that £100 per month will only get you the base-model Visia version of the Nissan Leaf, which is a trim level that leaves quite a lot to be optioned and that I couldn’t really recommend. It will be well worth trading up to the mid-range Acenta version, which will cost £140 per month within the confines of the study. Either price is still an exceptional bargain for running a brand new Leaf, given that Fleetdrive Electric would normally charge no less than £199+VAT for the Visia and £229+VAT for the Acenta. 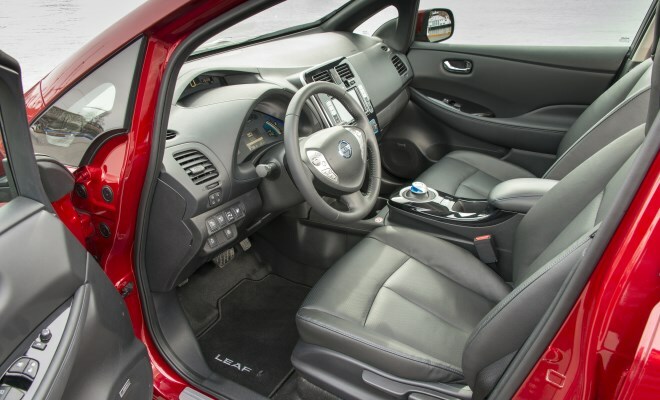 Alas the top-spec Tekna version of the Leaf, with its leather seats and extra toys, is not due to be included in the study. Insurance will be needed as well, of course, and will be the participant’s responsibility. And finally the fifth obstacle is that all participants will need a garage or driveway where they can park the car off-street, and a suitable wall nearby for mounting the home charging station. The cars can be driven and parked as normal in daily use, but the study won’t get very far if participants can’t charge at home. Surprisingly, the long list of requirements hasn’t rendered the project entirely infeasible, which was my first thought on learning about it. Though the project officially launched today, the website has been up and running for a month or so, and 500 people have already signed up to learn more, with one group of 11 people already assembled and raring to go. So if you want to take part, and can face the forbidding prospect of approaching nine of your neighbours, my advice is not to hang about.